This daily hydrating gel moisturizes deep within the dermis without clogging pores, to protect against environmental damage and leave the skin feeling fresh and dewy. This formula moisturizes skin with White Cranberry complex, Hyaluronic Acid and Mucopolysaccharides. Helps to neutralize free radicals. Clarifies skin with Totara Extract. Apply a thin layer to clean, dry skin in AM and/or PM. Aqua (Water), Hamamelis Virginiana (Witch Hazel) Water, Glycerin*, Caprylic/Capric Triglyceride, Alcohol Denat., Fructooligosaccharides (D-beta), Sodium Hyaluronate (L), Aloe Barbadensis Leaf Juice*, Vaccinium Macrocarpon (Cranberry) Fruit Juice, Camellia Sineosis (White Tea) Extract, Syringa Vulgaris (Lilac) Leaf Cell Culture Extract, Melaleuca Alternifolia (Tea Tree) Leaf Extract, Pyrus Malus (Apple) Fruit Extract, Citrus Grandis (Grapefruit) Peel Extract, Totara Extract, Eclipta Prostrata Extract, Panthenol (Vitamin B-5), Tocotrienols (Vitamin E), Phytic Acid, Glyceryl Stearate, Coco-Caprylate/Caprate, Acacia Gum, Citric Acid, Allantoin, Sodium Benzoate, Potassium Sorbate Essential Oils * Denotes Organically Sourced. Love this moisturizer it is light yet very effective. My issue with it is the pump dispenser has change. The new dispenser does not allow you to use all the product as you get down to the end of use. I find this wasteful and not helpful to the customer who wants full use of the product to get their money's worth. I wasn't thrilled with this product. I did like the fragrance, but didn't have any noticeable results. I ran through the product quickly. Will not repurchase. 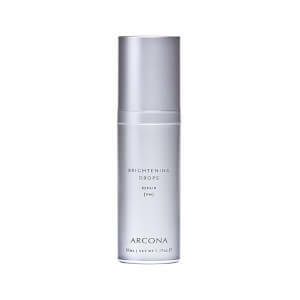 I started using Arcona about 6months ago and have seen an amazing improvement in my skin. Fine lines are reduced, I have a glow and much fewer break outs. This stuff is the best and I expect to use it for years to come. In addition, it's easy to use and smells great! I was a product junkie until I found arcona. I will not use anything else on my skin. 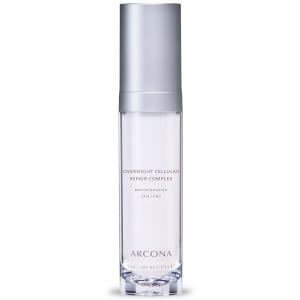 I think the magic white ice is my favorite arcona product. I have dry skin that can break out, so finding a moisturizer that moisturizes enough without breaking me out was challenging! I found that with this product. Highly recommend it!! Agua (Distilled Water), Hamamelis Virginiana Extract (Witch Hazel), Glycerin, Caprylic/Capric Triglyceride, Alcohol Denat, Fructooligossacharide, Sodium Hyaluronate, Aloe Barbadensis Leaf Extract, Vaccinium Macrocarpon Fruit Extract (Cranberry), Camellia Sinensis Extract (White Tea), Syringa Vulgaris (lilac) Leaf Cell Culture Extract, Pyrus Malus Fruit Extract (Apple), Grapefruit Peel Extract, Totara Extract, Eclipta Prostrata Extract, Panthenol, Tocotrienols, Phytic Acid, Glyceryl Stearate, Coco-Caprylate/Caprate, Acacia Gum, Citric Acid Allantoin, Sodium Benzoate, Potassium Sorbate, Essential OilsThese are the correct ingredients. The triglycerides aka coconut derivatives are torture for my acne prone skin. Oh well, otherwise it's lovely. Go for it if you don't break out from any of these ingredients! This is my go-to moisturizer. Smells wonderful, absorbs quickly and is not oily. Perfect for combination, acne prone, oily or sensitive skin. This product had a nice smell but made my skin itchy. I also developed some red bumps (pimples?) that went away in a few days. There is something "Magic" about this! After receiving a sample of Arcona's Magic White Ice, I was intrigued by this very "different" product~ different to me in my introduction to skincare products that oxygenate the skin. I was blown away with the results~ the look and feeling of healthy skin unlike I've ever seen! Magic White Ice has a light texture, feels healthy, "is" healthy (it contains white tea! among other amazing things), lets my skin breathe!, yet also hydrates it perfectly. And that's saying a lot, considering the decades of "challenges" I've had with my "sensitive" skin. At this stage in life, my skin may need something a bit more substantial in the winter months~ So far, this is really good! Magic White Ice stimulates the skin cells to produce their OWN moisture. In this way it is a nontraditional moisturizer. When delicate face skin is daily exposed to thick heavy cream lotions, not only does the face stops producing its own oil, the pores are also become weighed down, enlarged, and clogged. This is the ONLY moisturizer I have ever found that is truly effective as far as promoting live, healthy skin. I noticed some reviewers commenting on their skin feeling tight and dry after use. Give it a few days and don't give in to your thick creams. Your skin will begin to learn how to heal and begin producing its own healthy moisture again.